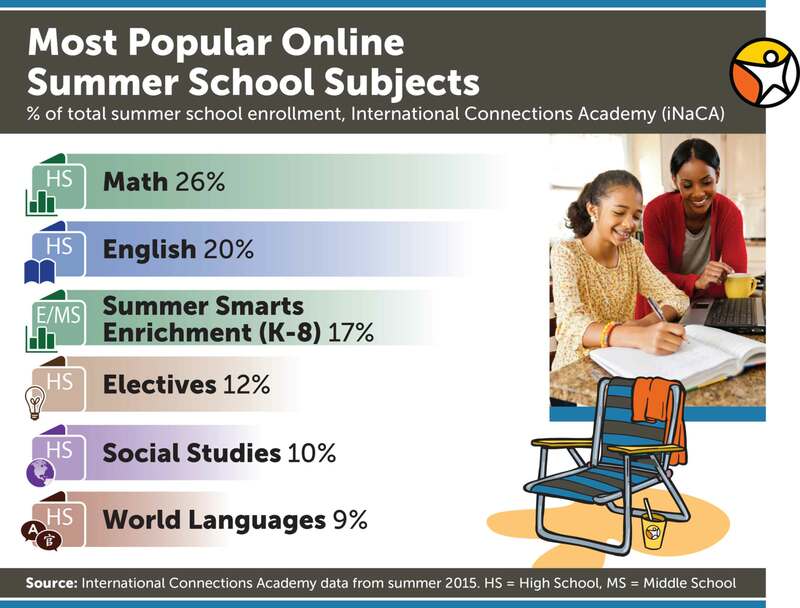 Online Summer School enrollment is open at International Connections Academy (iNaCA), the accredited virtual private school serving students in grades K-12 in the United States and across the globe. Families are invited to attend an information session to learn more about the benefits of online Summer School. 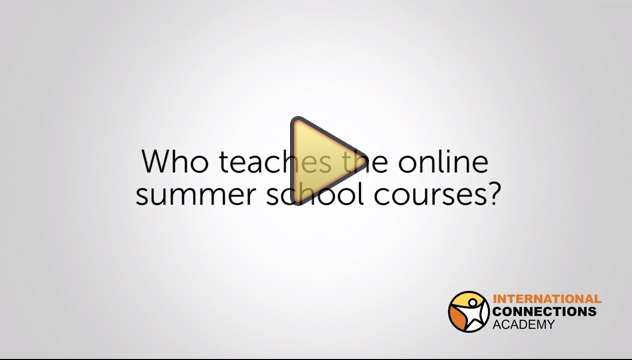 Who Teaches Online Summer School Courses? 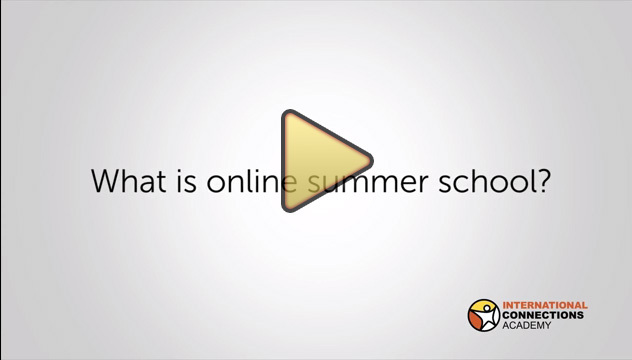 Why Should You Enroll in Online Summer School? Open Access: No matter where they live, parents worldwide can keep their students engaged academically online this summer. As many traditional summer school programs have been cut or eliminated, families can enroll in multiple online Summer School courses if they choose. 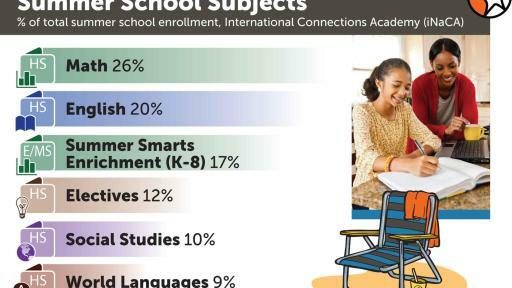 Enriching Curriculum: There are more than 100 different courses available for students in grades K-12 to explore, including original credit and credit recovery courses, world languages, Career and Technical Education (CTE), Summer Smarts math, language arts and reading, and NCAA eligible courses. 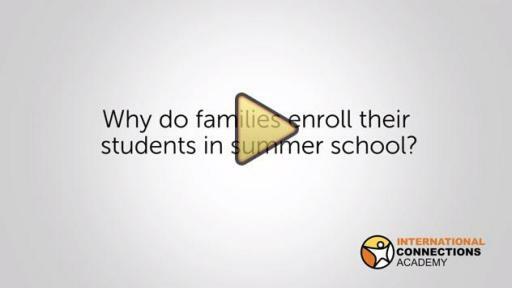 Rolling Enrollment Dates: Course sessions can complement a family’s busy summer schedule, with options to start Summer School on June 7th, 14th, 21st, 28th, and July 5th & 12th. Transferable Credits: High school students can confirm that they will be granted credit for iNaCA Summer School courses by submitting a pre-approval form to their school. 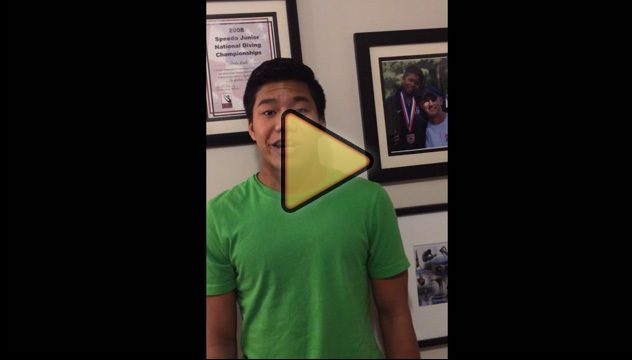 Jordan Windle, a junior at International Connections Academy who is also a diver training for the 2016 Summer Olympics, is enrolling in online Summer School courses to graduate early. 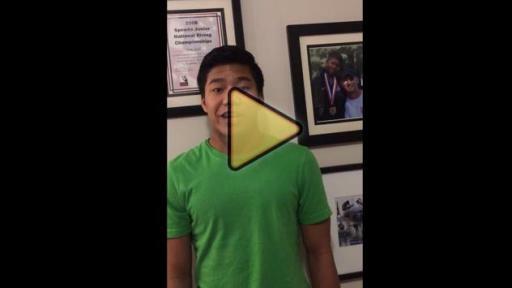 Watch as Jordan shares his experience with online summer school in this brief video. All iNaCA Summer School courses use Connection Education’s research based, award-winning curriculum, and are accessible and secure from any location with an Internet connection, so students can learn in their homes or on vacation 24/7. Online Summer School enrollment is now open. Parents and students interested in learning more can visit International Connections Academy’s Summer School program online or call an Admissions Advisor at toll-free 877-804-6222.
International Connections Academy is an accredited, online private school serving students in grades K–12 throughout the United States and abroad. Recognizing individualized instruction as the key to student academic and personal success, iNaCA’s highly trained, certified teachers offer instruction tailored to each student’s strengths and challenges using an award-winning computer-based curriculum, real-time instruction, and time-tested course materials from leading publishers. Our parent company, Connections Academy, a division of Connections Education LLC, was founded in 2001 by educators and innovators who recognized the power of online learning to transform K–12 education. Connections Education is part of the global learning company Pearson (NYSE:PSO). For more information, visit www.internationalconnectionsacademy.com. Online Summer School Open to Grades K-12 Meet Jordan, a full-time and Summer School online student Online Summer School—The Student Experience Who Teaches Online Summer School Courses? 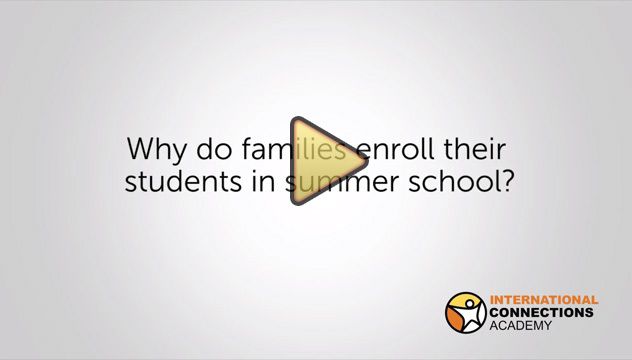 Why Should You Enroll in Online Summer School?